theMCGuiRE review takes a look at I Am The Fourth Wall by Slinky Gibbons Games. This card game follows a traditional Lovecraft theme and feel but offers a great player experience with technically 4 ways to play the game (I see them as grouped into 2 game play modes). 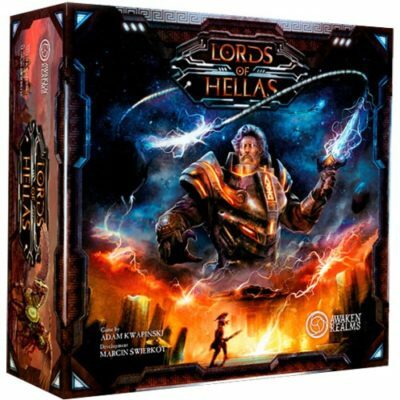 1: you can play co-op/solo - where all the investigators are working together to close all the gates and defeat an AI controlled "Wall" 2: 1 vs. all or Wall player vs all the other investigators (regardless if its one other person or many). Both game modes offer a rich intense experience of game play. 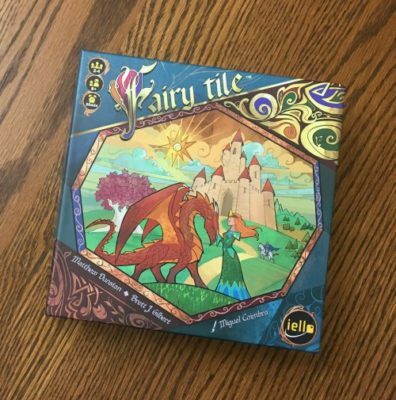 Play is quick and enjoyable. I really do like this title and highly suggest it if you are a fan of the Lovecraft theme. 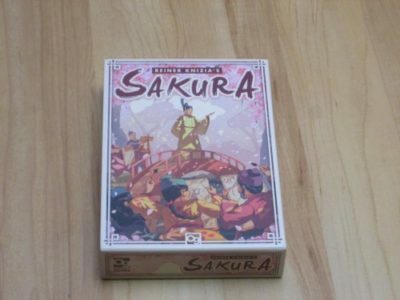 Gameplay in Lanterns: The Harvest Festival is very easy to pick up. 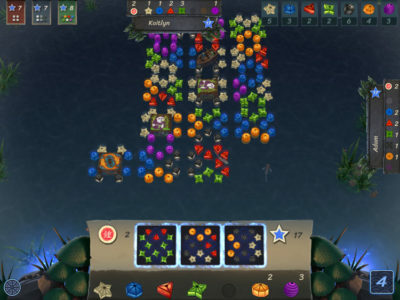 Each turn will have you placing lantern tiles into the lake, earning matching color lanterns for you and your opponents (depending on which color is facing you). You can use these lanterns on future turns to trade them in for victory points (in sets). There are a few other wrinkles, like gaining extra lanterns for matching colors or getting honor tokens from platform tiles. But that’s the main crux of the game. Place tiles, collect lanterns, trade for points. There is a lot to cover with Vengeance so we’re going to do a high-level overview, but the actual rules are here if readers want them: Vengeance rules. 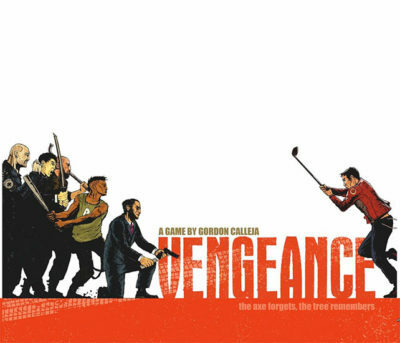 It’s important to note that Vengeance is made up of Acts much like a revenge movie. The Wronging occurs first, followed by Acts 1-3 which consist of Montages and Combat Rounds until the End for final scoring. 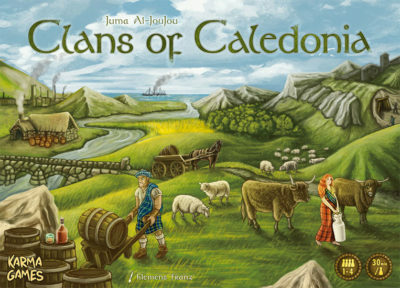 At the beginning of the game, each player drafts a clan, each with their own particular special power. These include being able to sell milk, aged whiskey in barrels to sell for more money, expand over sea spaces, and so on. During a game round, each player performs their choice of an action, in player order, until all players pass. 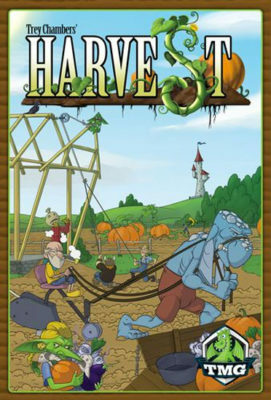 In Harvest, players are trying to plant, tend, and harvest vegetables from their fantasy inspired gardens. There are nine different characters to play all with a different ability and starting resources. Each round you get to place two farmers on the town board or the action cards which change each round. Throughout the game, you will acquire seeds, water, fertilizer, and magical elixirs. You can plant your seeds with fertilizer to turn them into crops. Once in your field, you can tend to your crops with water to grow additional crops of the same type. Each field can only contain one type of crop, so you will have to harvest your crops at some point to clear the way to repeat the process. 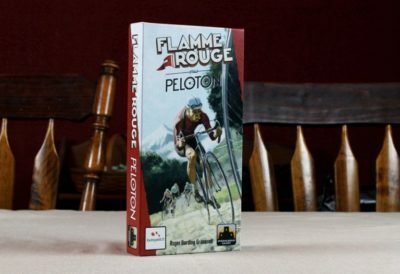 Let’s assume you’re familiar with Flamme Rouge, and you’re here to see if the expansion is worth adding to the mix. If not, I’d start here with my review of the base game. Peloton adds a slew of new tracks, riders, and variant rules, but as there are no significant gameplay changes I’m going to forgo the usual rules rundown and jump right in. Mars. The Red Planet. The Roman God of War has hung in the night sky capturing the imagination of man, and drawing the creative mind to it like gravity since it was first gazed upon. In the last few years, the fiction was left behind as science began to catch up, and we now know more about this baron and hostile planet than ever before. Yet, the more we know, it seems the more our imagination runs rampant and so the notion of the colonisation of Mars seeps into our consciousness, filling our screens, bookshelves and of course, our board games. 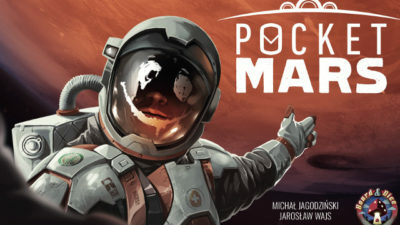 It is in this vein that we explore Pocket Mars.